A student recently pointed out a video on youtube that had impressed him. The man in the video, who happens to practice the same style of karate as we do, was working a drill against a partner and demonstrating really impressive hand speed. What my student was unaware of, however, is that the drill came right out of kata that he had not yet learned; and that is what impressed me. I firmly believe that there is a big disconnect between the way traditional martial arts are taught, and how they can be applied. We often learn strong single punches and blocks, deep static stances, and the prescribed patterns such as kata. On looking at these techniques, as they are taught, one does not see obvious useful self-defense. The techniques seem robotic, slow, and restrictive. 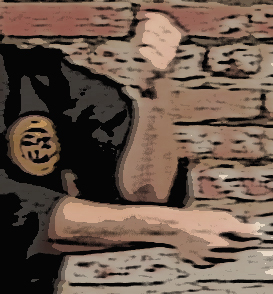 This perception has given rise many of the modern martial arts systems we see today. These new styles have reacted against the slow, mindful approach of traditional instruction. They favor a faster approach to learning in which kumite and competition are the primary teaching tools. And what is wrong with this? Nothing particularly if you are young and strong. But physical conditioning is a necessary component because, for the most part, these new systems do not teach refined technique that can be applied anytime, by anyone, at any age. Learning those types of techniques requires a slower approach in which each move is broken down and learned correctly, on it’s own. The problem is that too many of us who practice traditional and classical martial arts never put the moves back together again in real-world, workable speeds and scenarios. We practice only what we have been shown, as it was taught, and never take the knowledge and “apply”it in a creative and free-form manner. And, the burden to do that is on us. Our instructors have shown us fundamental skills and given us basic building blocks. But, if we never build anything with them, that is our fault alone. So, speed things up. I suggest getting started with a fairly simple exercise. Take any sequence of three moves out of your kata. Practice them with simple timing: one, two, three. Once you are confident you are doing them correctly, work the first two moves as part of a single count so that your new timing is one, two. Once the first two flow well, add the third so that you complete the entire sequence in one count. This is not just a matter of speeding up the time between moves. It is also understanding how to flow between moves so that there is much less starting and stopping (which slows you down). If you are satisfied with your three moves/one count sequence, add a few moves on so that you are back to a three count (but with three moves on count one). This exercise is also a natural extension of the training ideas in an earlier post: Slow it down. Obviously you can keep going endlessly. I was once asked by an instructor how many moves there were in a kata; any kata all. The answer he was looking for was “one.” Imagine your entire kata being a single count. Imagine flowing from move to move without any recognizable stops. Imagine what happens when that flow breaks from the original pattern and new combinations appear as both reactions and actions against an opponent. This sort of movement is hard to do, and it does take practice, but it also very hard to fight against. It overwhelms an opponent, with both speed, precision, and necessary strength. As a strategy, it has a lot in common with what modern systems are trying to teach. The difference is that this strategy is built on reliable, fundamental skills, carefully learned over time, and put together in very personal and creative ways.